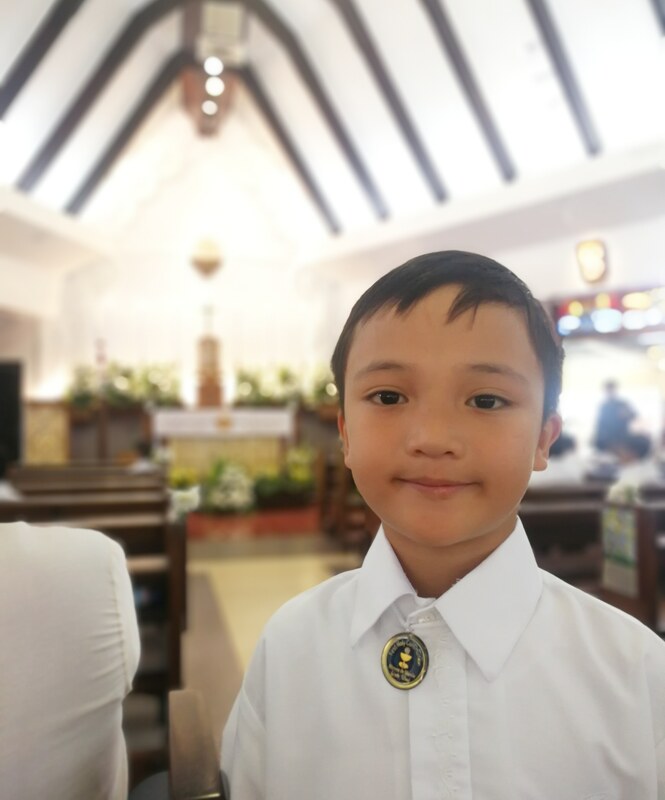 Our son had his First Holy Communion yesterday. It always amazes me how blessed and full of joy you feel when these milestones come. Even more than a 7th birthday party, or material things – this was a true full sense of joy and belonging. He had his FHC earlier than his sisters. The girls had theirs when they were 8, he had his at 7. But at any age, it is a great welcoming into a new phase of faith for him and his older sisters. We had a practice day the other week for the ceremony, and even during practice we were tears eyed at the opening procession already. Imagine, a new aspect of faith, where you receive the body of Christ, is being allowed for our kids. A great responsibility, and a continuous challenge to be a better person – one who lives out his faith everyday, and not just on Sundays. An added bonus was that Des, Franko and I were able to lead the prayers for mothers, sons and fathers, respectively. Another affirmation of being a witness to Families on Mission. Journey with us, as we welcome him to this awesome experience of receiving Jesus, and living the faith out everyday. Next Our Mission Fam, Sent as One!